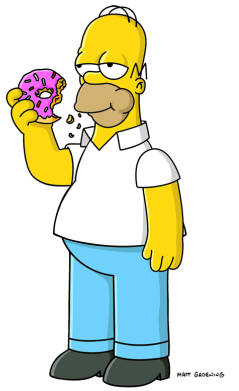 Herbert "Herb" Powell is the older half-brother of Homer Simpson. Illegitimately born to Abe Simpson and Gaby, he was raised by the Powell family and created immense wealth thanks to his car company. 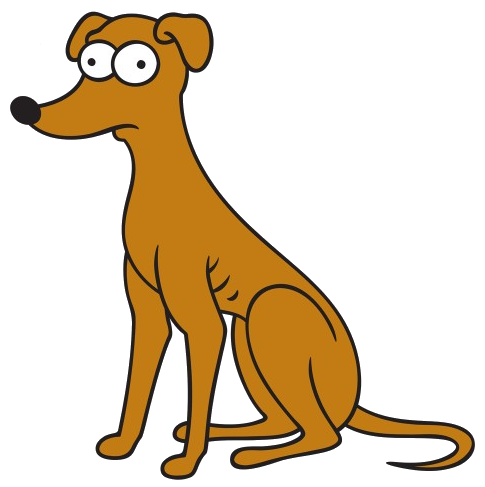 The product of a short-lived affair between Homer's father, Abraham Simpson, and a female carnival worker, Herb was adopted by Edward Powell and Mililani Osler. He put himself through Harvard by working odd jobs because his adoptive parents refused to pay for his admission (or may not have been able to afford his college tuition). He then founded Powell Motors, a car company based in Detroit. Herb was overjoyed to learn that he had a birth family and bonded with his nieces and nephew, and - in his role as CEO - allowed Homer to design a car. However, Homer's car was a failure and it bankrupted the company. Herb ended up becoming a street vagrant. He prefers to be called "Unky Herb" by his nieces and nephew, because he thinks the term "uncle" is too formal. He briefly settled in the Simpson household, despite his intense continuing antipathy toward Homer. 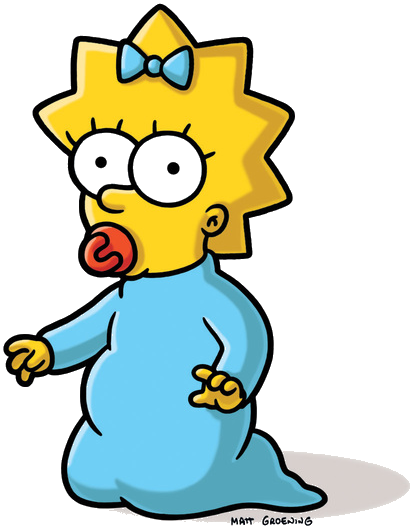 Homer loaned Herb $2000 (from the power plant, as compensation for making him sterile from radiation), which Herb used to build an invention that translated infantile speech into comprehensible English, based on observations he made of Maggie Simpson. 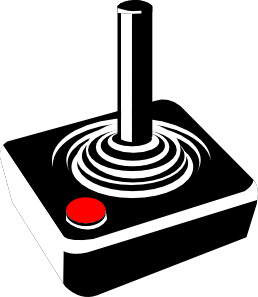 He proceeded to mass-produce his new product and regained his fortune. He then proceeded to pay back the Simpson family the $2,000, but also bought Homer a vibrating chair, Marge a new washer and dryer set, Bart a life membership in the National Rifle Association, Lisa a monthly set of classic novels, and a promise that he will buy something nice for Maggie. 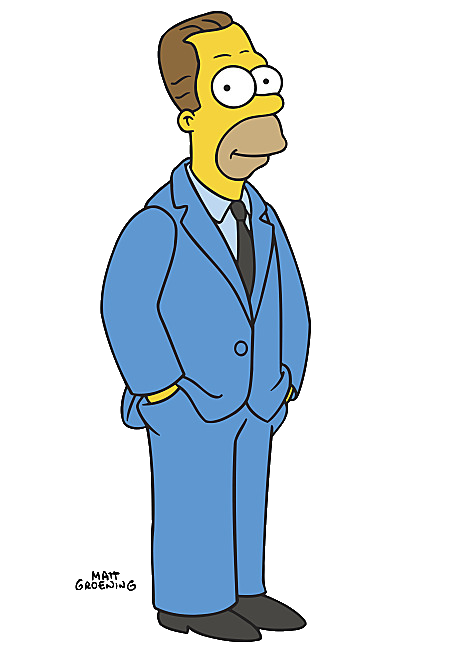 (It is also believed Herb did something for the Flanders family to show his gratitude to them for giving him a suit and not making look like a bum anymore). Most of all, Herb ends his antipathy towards Homer and is happy to call him his brother once again. 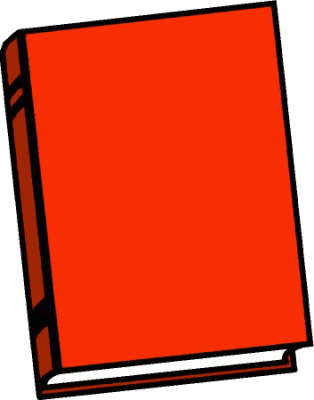 Herb exhibits a drive uncommon for anyone with Simpson blood in his veins, and given that he started his own automobile company and later invented a baby translator it can be assumed that he is also remarkably intelligent for a member of the Simpson family. Herb has not been seen since then, although he appeared in a picture when Homer listed off family members who needed to lose weight. Homer calls him "my seldom seen half-brother Herb". He considers wealth in terms of love and family, not money. 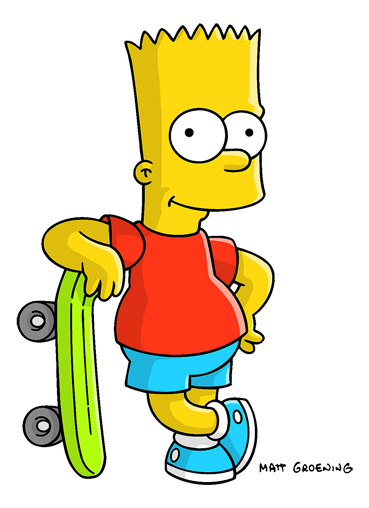 He is the only Simpson male that doesn't have the "Simpson Gene", though he does have a tendency to make poor decisions i.e. letting his dimwitted brother design a car (although, in Herb's defense, he only just met Homer, and saw him as the "average American"). 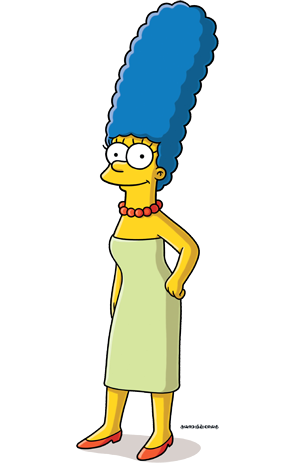 When looking for legal guardians for Bart, Lisa and Maggie, Marge and Homer considered Herb. Homer rang Herb and heard a voicemail stating that Herb is poor again, although it is unknown as to when that came about. 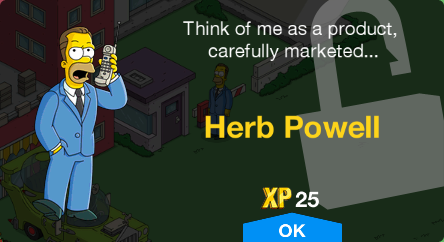 Herb's biological parents are Abraham Simpson and Gaby. Abe first met the attractive female prostitute at a traveling carnival, where they were taken with each other. One year later, Abe saw the same woman again at the carnival to find out he had fathered an illegitimate son (Herb) with her. Unmarried and ashamed, Abe and the woman took their infant son to the Shelbyville Orphanage, where he was later adopted by the Powell family. A year later, Abe married Mona and Abe told Mona about what happened at the carnival. When Homer was born, Mona told Abe to never tell Homer about the out-of-wedlock birth. Later, however, Abe had a mild heart attack and decided he needed to tell Homer about Herb. Herb has a younger half-brother, Homer, and an older half-sister, Abbey. Abe also had an affair with a woman he met in England during World War II. Homer met Abbey when Grampa tracked down her mother. 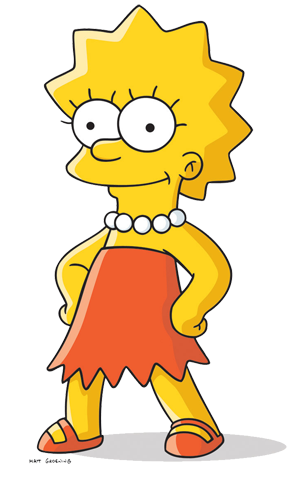 While Abbey is never explicitly called a Simpson, she looks and acts just like a female version of Homer. 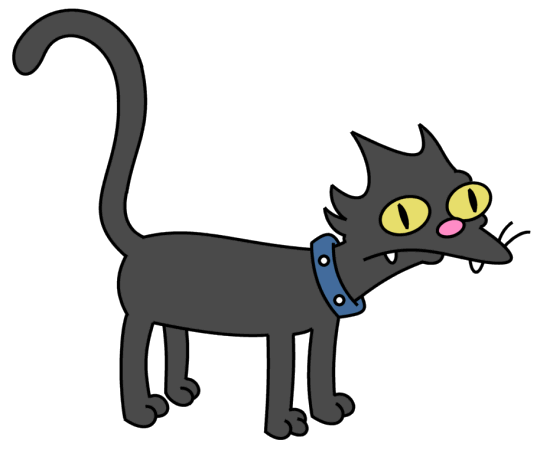 Herb was adopted by Mr. Edward Powell and Mrs. Mililani Osler. Mililani gave birth to Coco Powell, Wanda Powell, Carla Powell. Sometime before Herb met Homer, Edward and Mililani told Herb he was adopted, which upset Herb as it left him with no feeling of having a family. After "Brother, Can You Spare Two Dimes? ", Herb Powell has remained unseen character for 20 seasons, apart from his brief cameo in "The Heartbroke Kid", where he was seen in a picture. Also, Herb has remained an unseen character in the comics, apart from the comic story Uncle Burn$, where he (again) only appeared in a picture. On September 1, 2012, Danny DeVito posted on his Twitter account that he would voice Herb in a season 24 episode ("Changing of the Guardian"), for one line only. He voiced the line the day before (August 31, 2012). 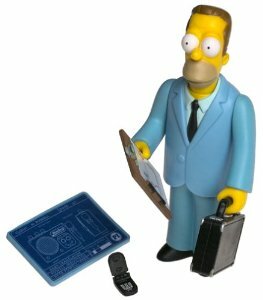 Herb received an action figure in World of Springfield: Celebrity Series 1. 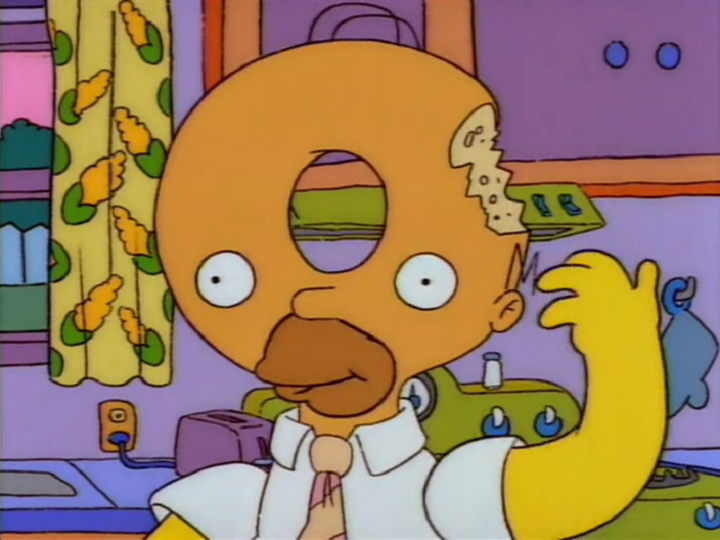 Wikisimpsons has a collection of images related to Herb Powell. ↑ "Brother, Can You Spare Two Dimes?" ↑ "Changing of the Guardian"
Modified on January 23, 2019, at 12:15.